The Best Western Pythagorion Hotel enjoys a great location in the beating heart of commercial Athens, within walking distance of Omonia and Karaskaki Square adjacent to the National Theatre. All of Athens tourist attractions are easily reached and all within 1.5kms of the hotel including Agora, Syntagma Square, the Acropolis and Parliament building. 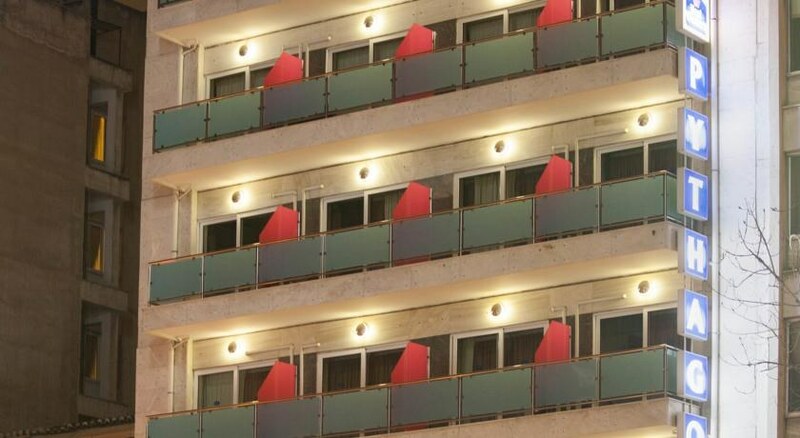 Guests will find fine cafes, restaurants,lively bars, shopping and vibrant nightlife within easy reach too. Offering great value for money, a range of good services and facilities the Best Western Pythagorion Hotel is ideally suited to holidyamakers seeking a comfortable base from which to explore all of Athens. 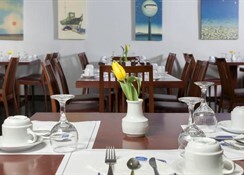 For your next stay in Athens book a memorable stay at the Best Western Pythagorion Hotel. Local tips: great way to spend a few hours – take a tour round Monastiraki Flea Market – Greeks come from all over to sell their wares and entertain, with every day offering a different selection it may be worth going twice or maybe three times. Ask staff at reception for further information and directions. 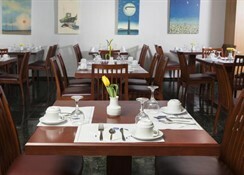 Food, drink and entertainment: a buffet breakfast is served daily. Drinks and entertainment are easily found across the length and breadth of Athens from lively bars to more sedate night clubs and theatres. Sports, games and activities: Athens boasts a wide variety of sporting amenities/activities for hire/rental – ask the friendly staff at reception for further information and booking details. Additional: 24hr reception, local shuttle(by request), medical assistance (doctor on call),left luggage service, fax services, copy service, car rental service, tourist information/excursion booking service, internet access, meeting/conference facility/services, guest laundry facility, housekeeping, wake up call service, maid service. The Best Western Pythagorion Hotel features well appointed guestrooms fully equipped with everything needed for a comfortable stay including bathroom, complimentary toiletries, satellite/cable tv, direct dial telephone, hairdryer, internet access, mini bar, in room safe, soundproof glass, writing desk/dressing table. Extra bedding linen, towels, infant cots and ironing facility available on request. All guestrooms enjoy a furnished balcony offering views of surrounding areas.